'Dirigo Devil' (John White, R. 1992). Seedling 88A-2-17. JI (6 falls), height 40" (102 cm), Early to midseason bloom. 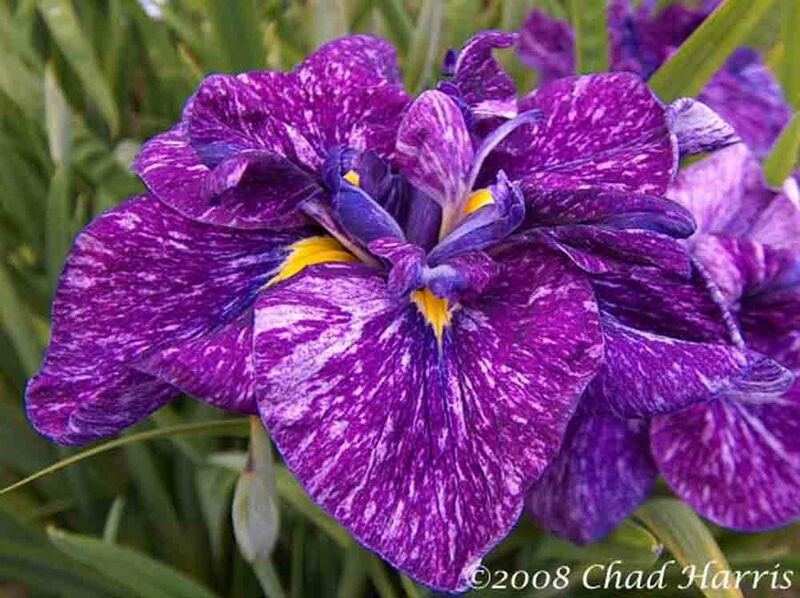 Red purple (RHS 77A) splashed white, yellow signal; style arms violet (83A), white midrib tufted violet. 'Ol' Man River' X 'Continuing Pleasure'.